1. Human rights defenders (HRDs) and those criticising government policies continue to be targeted and subjected to heavy restrictions and intense scrutiny. Many HRDs have suffered harassment, arbitrary detention and torture in detention. 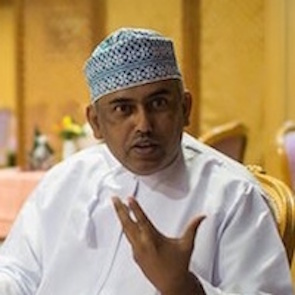 Hundreds of academics, journalists and commentators have been arrested, charged and at times kept in incommunicado detention for taking parts in protests or for criticising Sultan Qaboos bin Said, the ruler of Oman. 2. HRDs operate under increasingly restrictive security measures in Gulf countries, and this is especially the case since the signing of a security agreement by Gulf Cooperation Council states in Riyadh on 23 November 2013. The agreement focuses on inter-state exchange of information and searching of those who violate the law, and has led to the targeting of HRDs nationals of one country in other GCC countries. (c) Due to the very limited access to broadcast and print media, HRDs rely extensively on online platforms, which exposes them to surveillance and charges under the Cyber Crime Law. (g) Fully implement the adopted UPR recommendations on human rights defenders in a transparent and participatory manner with full involvement of human rights defenders at all levels.